The value of pensions and investments and the income they produce can fall as well as rise. You may get back less than invested. Tax Planning, Estate Planning and Trusts are not regulated by the Financial Conduct Authority. Colin has over thirty years’ experience in the Financial services Industry witnessing many changes and developments during this time. His Financial Services career began in 1986, working for Hogg Robinson one of the country’s largest firms of Insurance Brokers (at the time). From 1988 Colin worked for Scottish Life (now Royal London). Whilst specialising in Pensions, he also has a wide ranging experience in, Investments, Protection, Estate and Trust Planning. During his time at Scottish Life, Colin was one of only a small number of consultants licensed to write Defined Benefit (Final Salary) Pension Business. 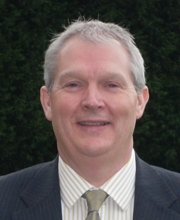 Colin is proud to be a “Chartered Financial Planner” and a Fellow of The Personal Finance Society. Qualifications held by only a small percentage of advisers in this country. Colin takes professional development very seriously. After graduating from University with a Mathematics Degree, John has spent the last 30 years in the Financial Services Industry. During this period, John has qualified as a Chartered Financial Planner and holds an Award for Pension Trusteeship. John provides a comprehensive service to his clients. He is committed to providing you with the most suitable advice, service and support at all times. 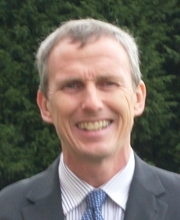 John`s main focus is to help clients achieve their goals and objectives. 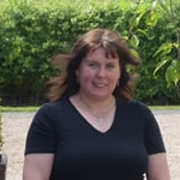 Dawn has worked in the Financial Services industry ever since leaving school and has worked for various leading Financial Services Organisations together with another prominent Independent Financial Adviser before joining Nigel Beanland & Co in 1996. She has obtained the Financial Planning Certificate and although she is not authorised, to give advice, provides a comprehensive back-up service to all our clients. Beanland Financial Services Limited is registered in England & Wales no. 06733970. Registered office address 29 Regent Road, Hanley, Stoke-On-Trent, Staffordshire, ST1 3BT. Beanland Financial Services Ltd is an appointed representative of Intrinsic Wealth Ltd and Intrinsic Mortgage Planning Ltd, which are authorised and regulated by the Financial Conduct Authority. Intrinsic Wealth Ltd and Intrinsic Mortgage Planning Ltd are entered on the FCA Register (http://www.fca.org.uk/register) under references 217742 and 440718.